Boxed skeleton console, skeleton control pads and 42 games with some great titles. Read the description. 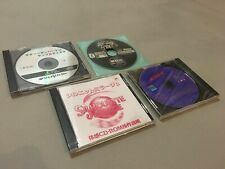 6 discs, Swagman demo disc included. Very good price atm. 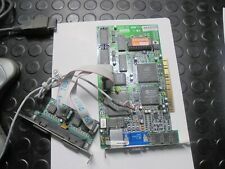 Auction from the UK. 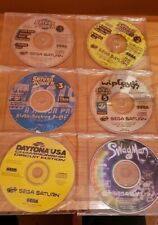 4 demo discs: Burning Rangers, Silhouette Mirage, Saturn Bomberman and Sonic R. Auction from The Netherlands. 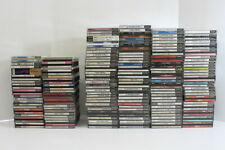 All of this in one BIN auction from the UK. Offers accepted. Anyone interested ? 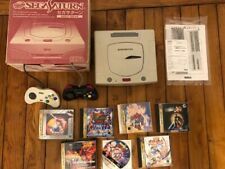 BIN Auction from the US. 2 auctions available. Great item. BIN Auction from the US. Offers accepted. 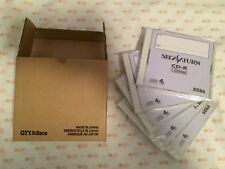 A complete in box set of 5 sealed Sega Saturn development CDs. BIN Auction from the US. Offers accepted. Complete in good condition. 1 day auction. 0.99 GBP starting price. 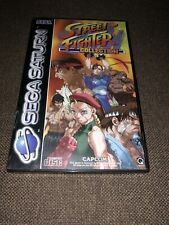 Auction from the UK. 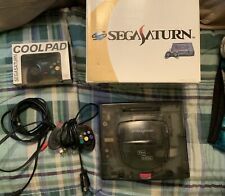 3 great consoles, one auction. BIN auction from France, offers accepted. made with NV1 chip. 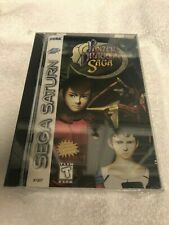 Let's you play Sega PC games with Sega Saturn controllers. For PC collector. Maybe not complete.